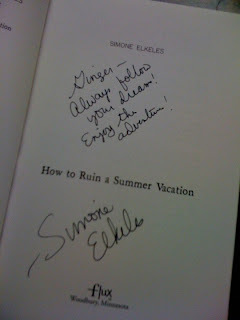 They know how much I adore this author & was bummed that I couldn't go with them to the book signing (I live in Texas). Complete AWESOMENESS to my day!! Do you have any books signed by authors? If so, which ones? HOW FUN IS THAT!? Your friends are fabuloso. Also: Why have I not read this book yet? I am JEALOUS!! Very cool & very, very nice of your friends!! Very cool! I haven't been to any author events and I don't review books on the blog, but I DO have one signed ARC from Antony John - Five Flavors of Dumb. He is one cool guy. I have a few signed books, the highlight being Terry Pratchett! Also Jacqueline Wilson and Maggie Gee, and a couple that I bought signed - alas, not personal - Sebastian Faulks' Charlotte Gray and a new book called Diamond Star Halo by Tiffany Murray. Aw, you have such wonderful friends!! How awesome is that! 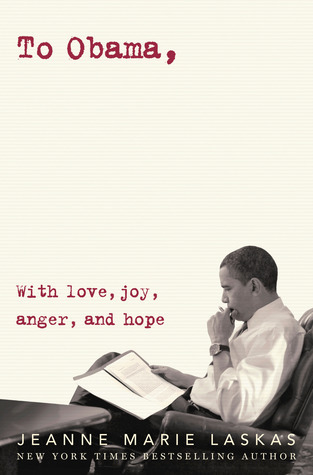 Enjoy your book!